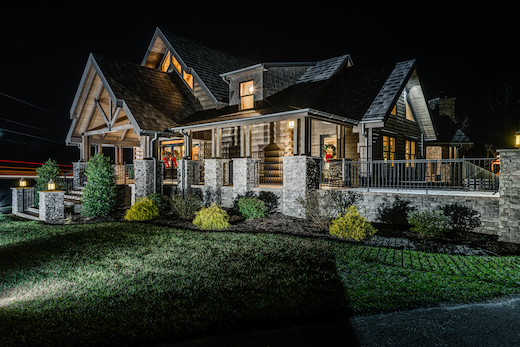 Enhance your holiday season with a Christmas tour of log and timber frame homes hosted by Crossville Honest Abe Log Homes . Featured on the free Christmas tour is the Bertzel timber frame project by Honest Abe Independent Dealer Mountain Stream Log Homes. Currently under construction by Honest Abe Log Homes, the house is created from an Honest Abe Log Homes customized Madison Plan. It is approximately 1,700 square feet with a full basement and is located in a beautiful wooded area on the Cumberland Plateau. 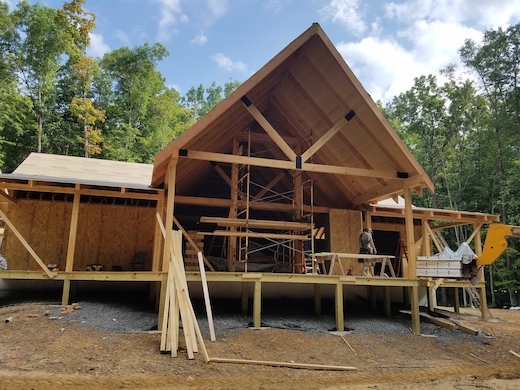 This stop provides the opportunity to see how our timber frame panels are used with wood components and other materials like stone, siding, etc., in construction. The event begins at The Cambridge, Honest Abe Crossville’s Model Home. Stop there for the tour map and refreshments beginning at 10 a.m. on Dec. 8. The model is a 2,900-square-foot, two-story dovetailed D-log home surrounded by 1,700 feet of porches. Built from the Cambridge plan, Honest Abe Log Homes’ award-winning floor plan, the home incorporates both log and timber frame design. To learn more about the Cambridge, visit Christmas at the Cambridge. 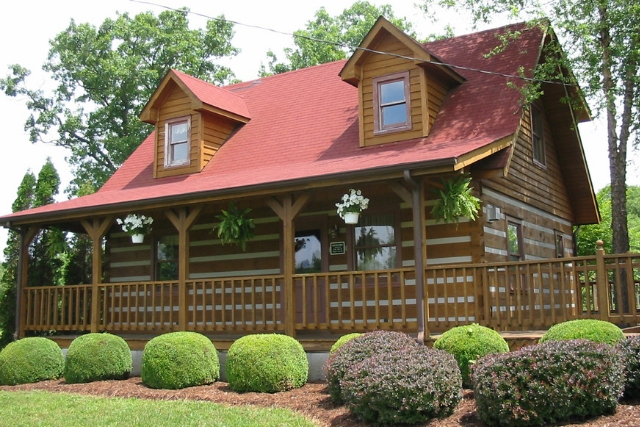 While there, step into Crossville’s original model home, The Frontier, a dovetailed chinked square log two-story cabin built in 1991. Now an office, the cozy structure demonstrates how log homes stand the test of time. The Crossville Model Home complex is located at 448 Crabtree Road Crossville, Tenn. 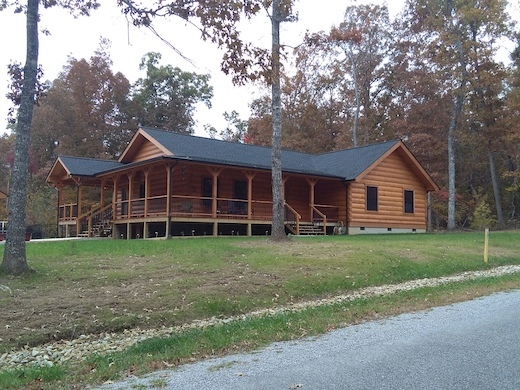 Completed in 2017, the Long Family Home is an 1,888-square-foot, dovetailed D-log home created from a customized Honest Abe Appalachian plan. A one-story home ideal for aging in place, the home has two bedrooms, an office and a covered porch wrapping around a great room and kitchen. Outdoors, you’ll see a garage that shows how Honest Abe can create wood siding for garages and other structures to match your home. The 1,600-square-foot Clayton Cabin was a creative collaboration between Honest Abe and homeowners who conceived of a cabin that captured the simplicity, beauty and spirit of early pioneer log homes. 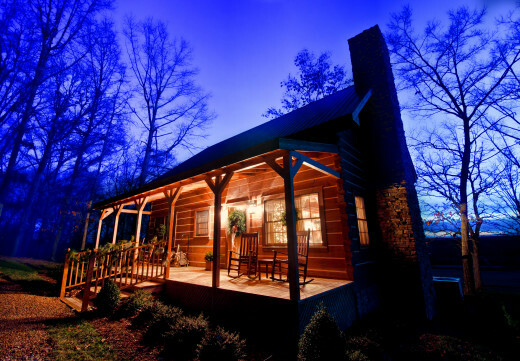 Honest Abe’s Genesis 6” x 12” square log style reproduces the historic exterior the homeowners imagined, while interior options like wide-plan flooring, candlelight-only overhead lighting and exposed beams maintain the ambience of an early Tennessee cabin. Read about the Clayton Cabin at Gloryland Pioneers. 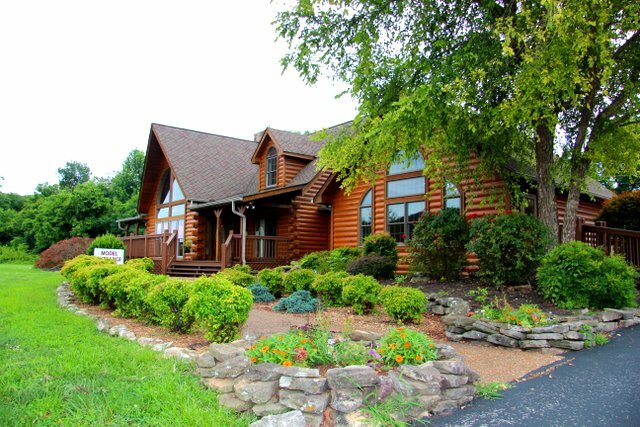 Those traveling from the west toward Crossville for the Christmas tour may stop at the Cookeville Honest Abe Log Homes model for the tour map and refreshments. Built in 2000 from the Bellewood plan, the 3,215-square-foot, two-story model home has three-bedrooms, two-and-one-half baths, a 52′ front porch with two side porches and full-length back deck. Also on the site are three other log structures including a model built from the Algood plan as well as Honest Abe’s original dovetailed, chinked square log model and a small office log and timber structure, which now comprise The Mill Storehouse retail shopping complex. If you’re traveling east to west for the tour, make this your last stop and enjoy a 20% discount at The Mill Storehouse. Click for directions to 3205 Hwy. 111, Cookeville, Tenn. The tour concludes at 2 p.m. The event is free, but reservations are required. To reserve your spot on the tour, call contact us.